Things have taken quite a dramatic change, in the last few months, in Ojo's World. 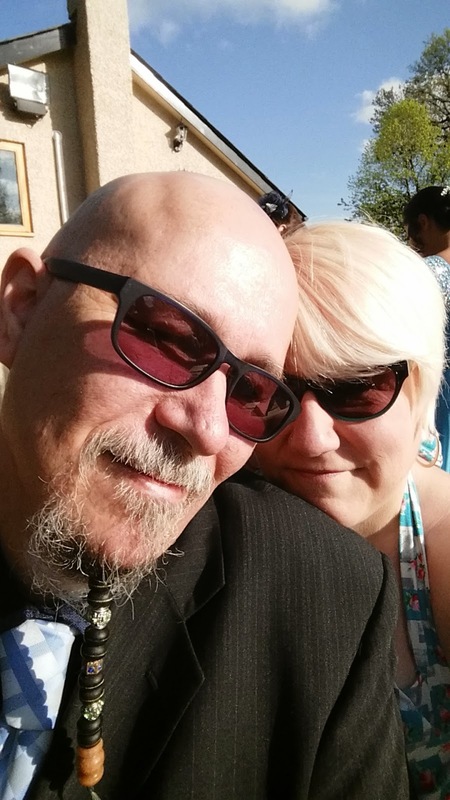 I have written in the past, about my husbands pain, but I haven't written an update for a while. I haven't written one, because I've needed time to sort out my own feelings about it. Also for us, as a couple, to sort out the changes it's meant for us. When I say my feelings about everything, please don't misunderstand. My feelings for my husband will never change, I adore the man, and have done for almost 26 years now. I mean, I care so much about him, I hate seeing him in pain. You see he went for an operation on his knee, a few weeks back. Unfortunately, as yet, it doesn't seem to have really fixed anything. He's still getting the locking, and the cramping, basically he's in pain a lot of the time. This means he can't walk very far, and if he does he needs a stick/crutch. It doesn't just stop there. It turns out, the problem he's having, isn't due to an injury, it's degenerative. Which means his other knee is the same. So when he goes for his check up, next week, they want to start looking at that one too. On top of that, they have found osteoarthritis in both knees. My poor hubby can't drive anywhere at the moment, for the last few weeks he has been, pretty much, house bound. He's also been having some internal problems, which required a CT scan. They sent us a letter, explaining that he didn't have the problems they initially thought. However, he does have Spondylosis. He's been suffering back pain for a while, but had put it down to walking awkwardly, because of his knees. The chance of my hubby walking, without some sort of aid again are getting slimmer. Having him around is a great help with the children. He can't move around to much, so he's there for cuddles all the time! He managed the wedding, on the weekend, but has been paying for it since. We were there enough time for us to get snapped together though. One thing I can promise, my love for this man will never change. Amazing post to read for the reader.